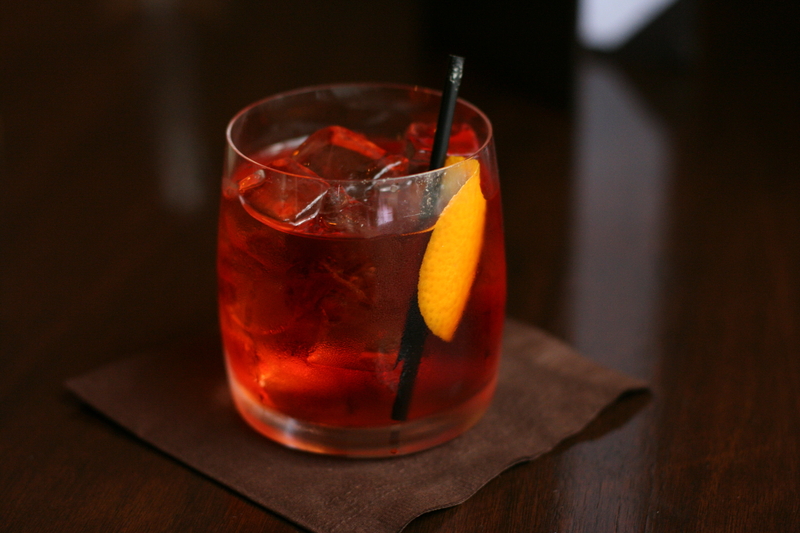 Negroni is one of the most famous Italian drinks and perfect for Aperitivo. The sun is just beginning its descent as I leisurely make my way home. Strolling among the other pairs of people out for the evening passeggiata, stretching their legs, browsing shop windows, calling ‘buonasera’ to friends or stopping in the street to chat. The sidewalk benches are occupied, on one side with old men, the other with their wives. They set about relaying the days events, gossiping, commenting on those walking past. In Italy, this magical time between the end of the work day and dinnertime is called Aperitivo, and it is one of my favourite guilty pleasures. As I wander up through the city centre, I take a seat outside my favourite bar. The table occupies the almost nonexistent space next to the sidewalk, practically in the street. I begin to people watch as I wait for the friend I am meeting. Aperitivo is the Italian translation of the French word ‘apéritif’ which literally translates to ‘opening.’ It comes from the Latin verb ‘aperire’ which means ‘to open’ and is the root of the Italian verb ‘aprire’ that also means ‘to open.’ Which is why one usually has aperitivo before dinner, as a way to ‘open’ one’s appetite, for dinner. Typically the drinks served are dry or slightly bitter, the classics being Negroni and Spritz, made with either Campari or Aperol. It was, and still is, a common belief in Italy, that bitter things have a stimulating effect on one’s stomach. In addition to spirits, a glass of prosecco or spumante or vermouth are also served. While it used to be about preparing one’s digestion and appetite for dinner, these days, aperitivo is more about the social exchange. “Hey, ciao, sorry I’m late!” My friend says as we kiss cheeks and she throws herself into the chair opposite, “Work was crazy.” She waves her hands for emphasis. “No worries,” I tell her. “In fact by italian standards, you’re still early.” We laugh as the waitress comes over to ask what we’d like. With our drinks, a negroni for us both, comes a plate of bite-sized delicacies. Between us lay an appealing arrangement of cheeses, salami, olives and a pile of fresh focaccia. This early evening ritual is the perfect excuse to have a drink and have a nibble while catching up with friends. We raise our glasses and toast to one another, and to la dolce vita. I was once told a story that the sound of glasses clinking was the inspiration for saying, ‘cin cin.’ We take care to look directly into one another’s eyes. I can’t say precisely what will happen if we don’t, only that there are several superstitions that suggest nothing good. The sun and the level of our drinks continue to drop as we laugh and enjoy ourselves, relaxing in this pleasant moment of the day.